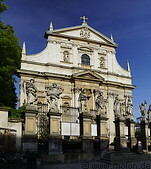 Over 120 Roman catholic churches are located in Krakow, making it a city of churches. 60 of these churches were built in the 20th century. 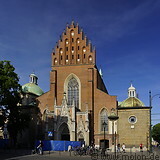 The Dominican and Saints Peter and Paul churches are located between the Rynek and the Wavel, while the Corpus Christi basilica and the Pauline church are located in the Kazimierz suburb.